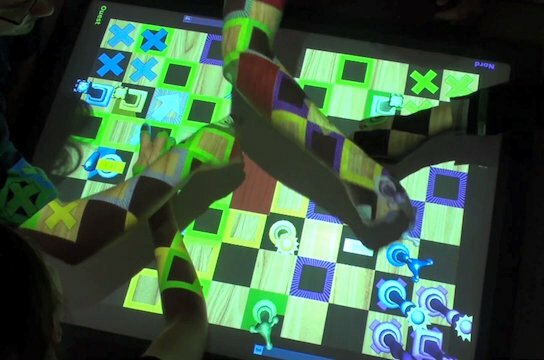 We report on a long-term participatory design process during which we designed and improved RealTimeChess, a collaborative but competitive game that is played using touch input by multiple people on a tabletop display. During the design process we integrated concurrent input from all players and pace control, allowing us to steer the interaction along a continuum between high-paced simultaneous and low-paced turn-based gameplay. In addition, we integrated tutorials for teaching interaction techniques, mechanisms to control territoriality, remote interaction, and alert feedback. Integrating these mechanism during the participatory design process allowed us to examine their effects in detail, revealing for instance effects of the competitive setting on the perception of awareness as well as territoriality. 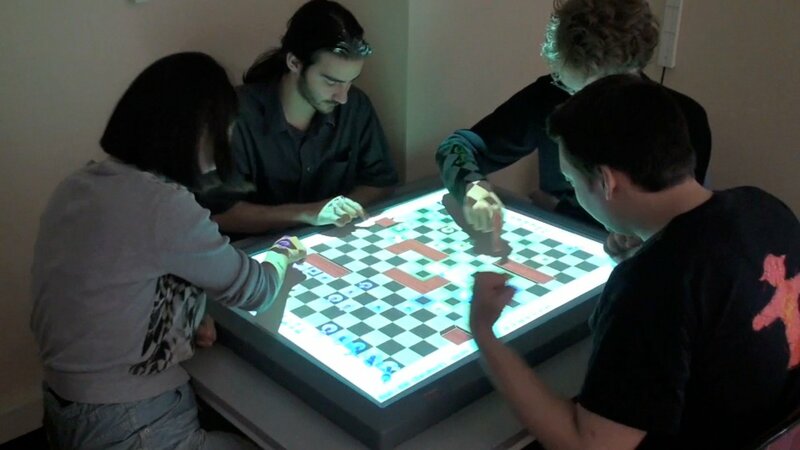 More generally, the resulting application provided us with a testbed to study interaction on shared tabletop surfaces and yielded insights important for other time-critical or attention-demanding applications. This work was done at and in collaboration with the LIMSI lab at CNRS, France.